A lot of the flea market vendors told me they sold out of their cake stands after the magazine came out. Good thing I bought all of my cake stands before they became a popular collectible item! Cake stands come in all sizes, heights, and materials. 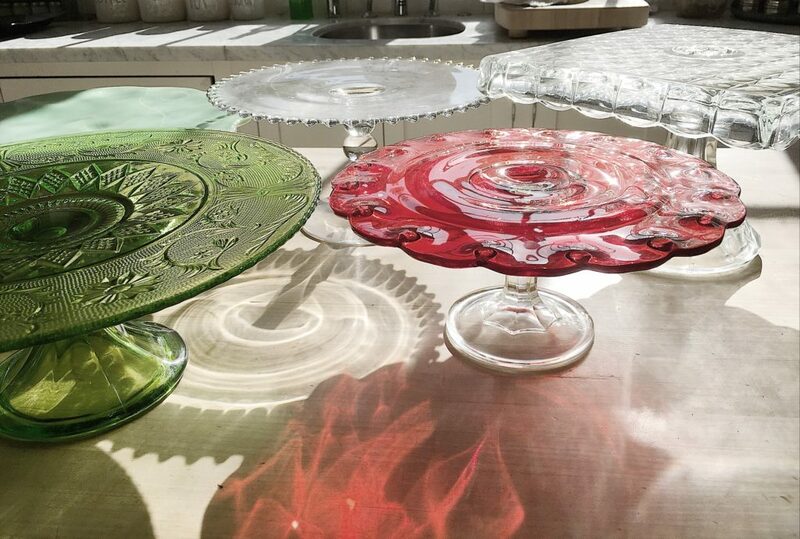 I own glass cake stands, metal cake stands, and even a wooden cake stand. Many of them are vintage but some of them are not. What Makes a Cake Stand Collectible? The most popular vintage collectible cake stands are milk glass, depression glass, cranberry glass, jadeite, and metal. You can find all of these on eBay and at antique stores. The best prices can be found at flea markets. All cake plates come in different heights and it really comes down to your personal preference. I wouldn’t buy a cake stand that has a lip on the outer edge as it would make it very difficult to cut a cake! Some of my cake stands have a round indentation in the center. This doesn’t matter if you are using it for cake. But if you want to stack cookies or collectibles, it can be a problem. Where Can You Buy New Cake Stands? There are a lot of very nice looking cake stands available in stores and online. 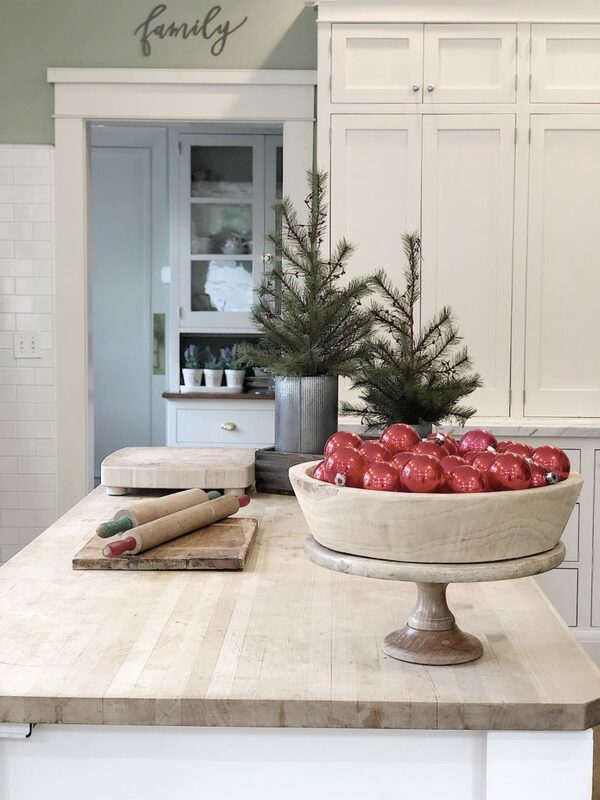 The Pioneer Woman has a Jadeite pedestal cake stand and it’s my favorite. I also love this Mosser Black Glass Pedestal Cake Stand. I have a few of them on the bookcases in our living room and they look great! 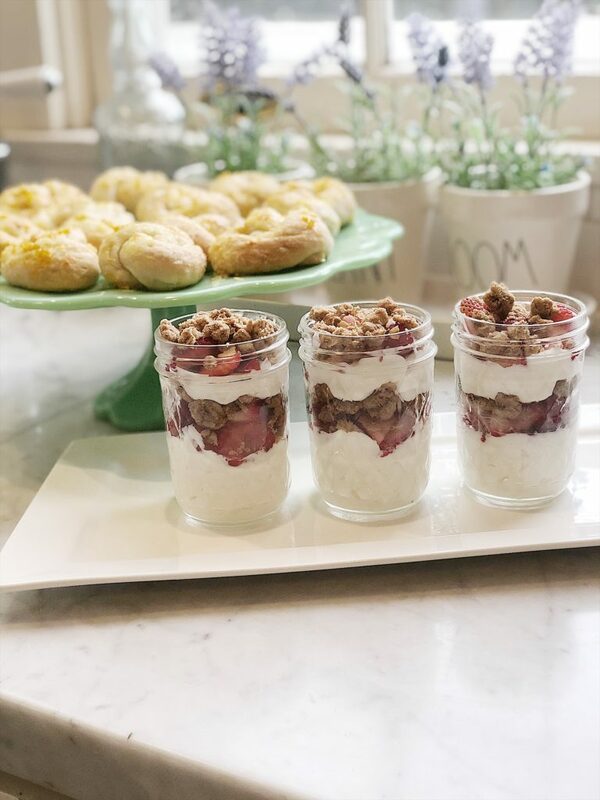 If you are looking for a white cake stand, BIA Cordon Bleu has a glass pedestal cake stand that is really inexpensive (under $30). I also found a Whitewash Decorative Traditional Cake Stand that is really cute. It almost looks like it is made out of wood. You can always check out my Amazon Store for a lot of cakestand options. What are Cake Stands Used For? 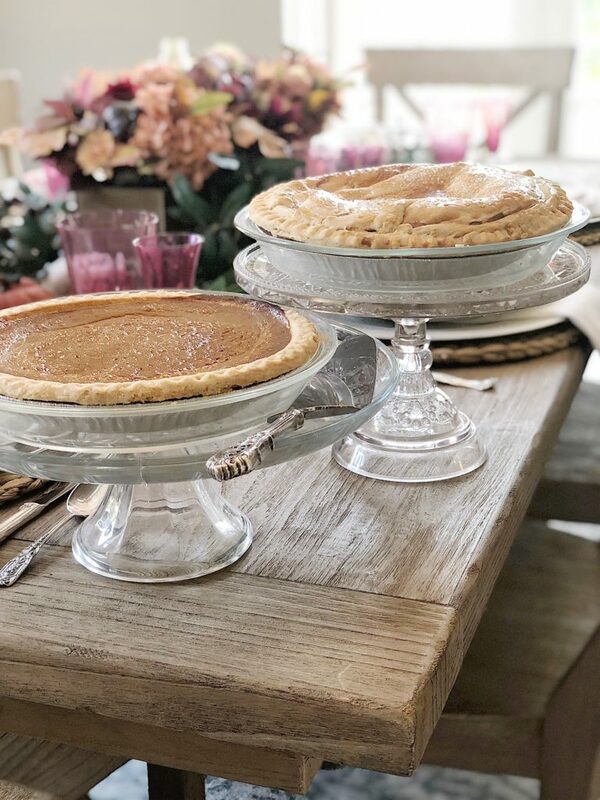 I use all of my cake stands for entertaining and even displaying my vintage items. 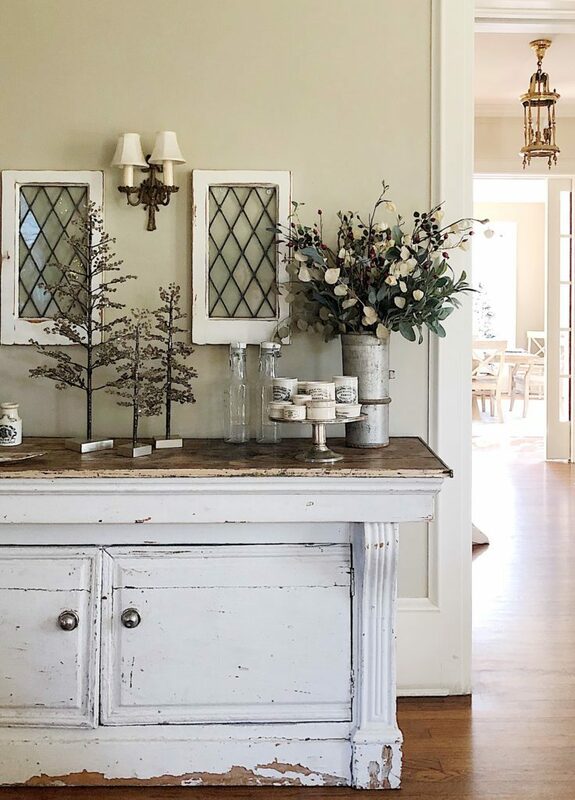 I love to add height in all of my displays so I am always grabbing a cake stand to use for my decor. I found this silver and glass cake stand from my friend Debra Hall at Debra Hall Lifestyle. It just might be my all-time favorite cake stand in my collection! The wooden cake stand on my island is by far my most popular cake stand with all of you. This is a wooden cake stand and I added a wooden bowl (from Magnolia) on top. I change the contents of this bowl every month. Usually, it has fruit (real and faux) but at Christmas, I added vintage Christmas ornaments. I use my cake stands most frequently to display food. Such a clever idea. Haha. And believe it or not, I even use them to display cakes! 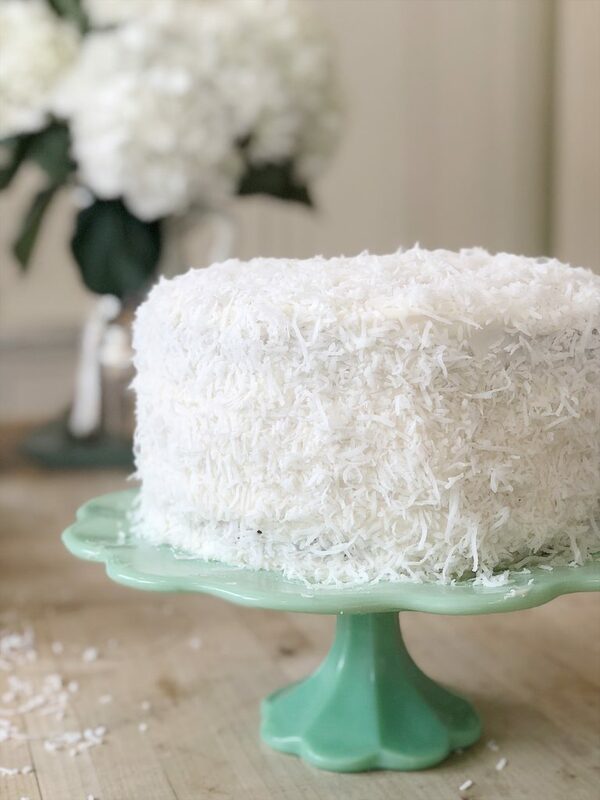 This coconut cake recipe is fabulous. Over the years I have collected some very colorful cake stands. I absolutely love these. 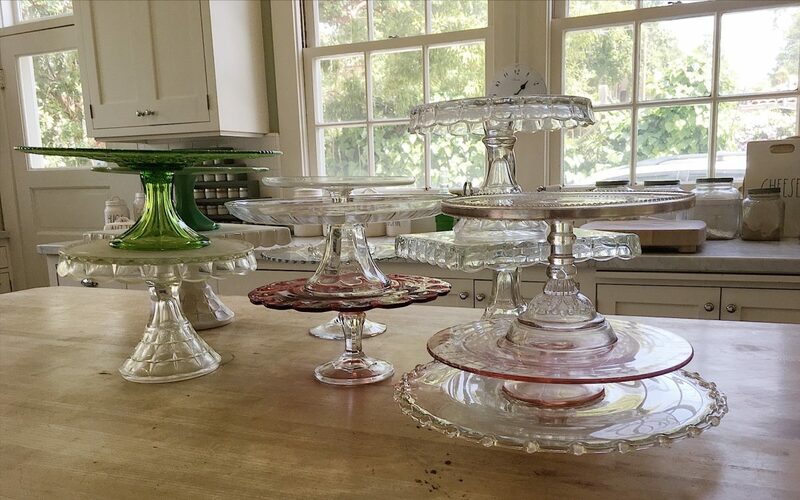 As I was opening the top cabinets in my butler’s pantry looking for the five or six cake stands that I knew I had, I quickly discovered that my collection had somehow multiplied. On their own. Because I am sure there are now a lot more cake stands than I originally bought. Hmmm. I’m okay with this cake plate fairy though! What’s your “thing” that you collect? I bet your cobalt glass collection is gorgeous! Wow. Thank you so much LeAnn! What a wonderful collection! Take care my friend. I love that you termed cake plate collectors as “wise”. I will hang on to that as I enjoy each and every one of the beauties I have collected through the years! We are very wise my friend! Everything comes back around and around. 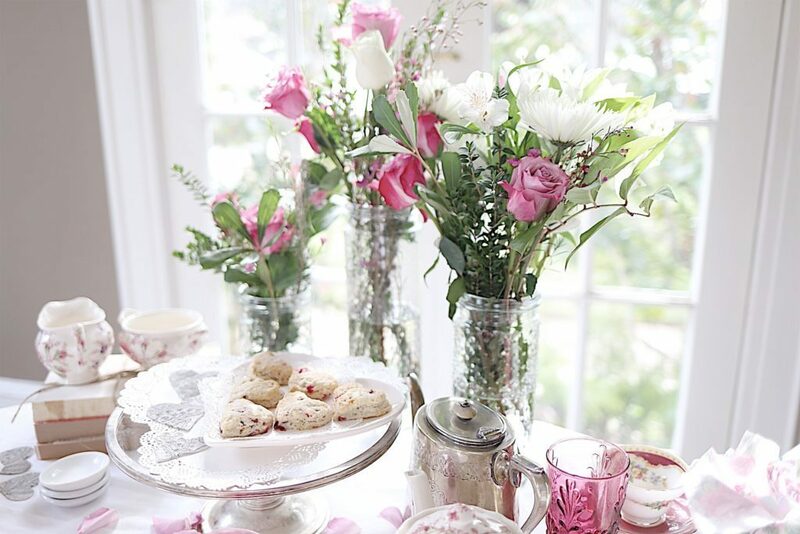 Collecting cake stands was very popular about 10-12 years ago….you should see how many my mom had. If you ever read issues of Martha Stewart Living you would see cake stands featured in almost every issue. I’m glad its coming around again as I feel these are iconic farmhouse/classic design. They’re lovely Leslie. I love the red one especially. I collect all kinds of new and vintage pieces. My house is heaving under the weight of it all. If it’s made out of clay, tin or glass I collect it. I have a very eclectic range of pieces, so displaying it somehow in a cohesive way is a challenge. I have that problem too! But I am starting to weed through and organize all of my “collectibles” and they are looking much better! Me too! I still have a ton on MSL magazines. I will have to look back! I collect vintage chalkware bride and groom cake toppers! That is so cool Katherine! What a great idea. Are they hard to find? Katherine, I do too. Look for my comment below. It is also so easy to create your own. Glue a glass plate to a glass candlestick. Or get creative. Any plate with a teacup, finger bowl, vase, etc. E6000 is my glue of choice. Loved reading this, Leslie, and the photos are eye candy. Thanks. I had to laugh out loud when I read your post – I am a cake stand hoarder. I took them out to clean, and my husband was in shock at how many I had accumulated. “Isn’t there some kind of support group for people who collect cake stands?”, was all he could say as he slowly walked away while shaking his head in disbelief. Sorry Marie Kondo, but all of my stands bring me joy and I thank them for it every time I open the cabinet doors. Just bought the Pioneer Woman’s jadeite cake plate last week. Such a bargain! I collect whiteware but off to the thrift store today to hopefully pick up some jadeite plates. We shall see. I collect Jadite and Cake Plates too! LOL! Your collection is beautiful. I have also collected cake stands for several years. In fact a women’s organization borrowed mine for a major dinner fundraiser. I am so glad that I am in great company with so many others. I’m drooling over your red glass cake stand, it’s gorgeous! Is it vintage or available somewhere online? 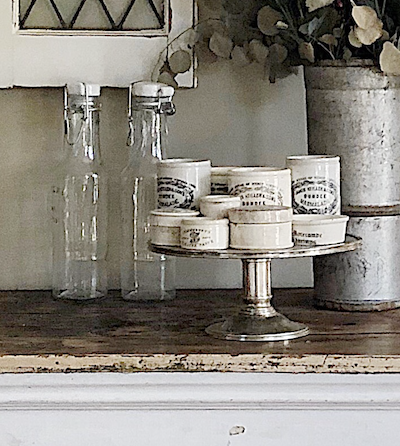 I collect cake stands, hobnail milk glass, salt & pepper shakers, jewelry of all kinds, broken vintage jewelry to upcycle, and Christmas collectibles. I also can’t stop collecting old books, baskets, and foo dogs. I am a collector from way back – I am going back tomorrow to pick up 3 from an estate sale if they are still there. They were way overpriced. My prized one is my grandmother’s square Fostoria American cake stand. I also like punchbowls – if my spouse ever found out how much glass I really have he would keel over. Good hunting my friend!! !